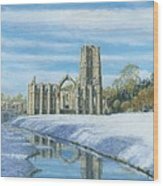 Fountains Abbey is a Cistercian monastery, founded in 1132, and is situated in the valley of the river Skell near Ripon, North Yorkshire, England. 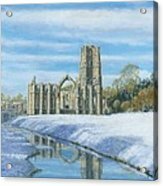 Along with the adjacent Studley Royal Water Garden, it is a UNESCO World Heritage Site and National Trust Property. 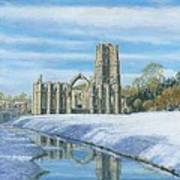 Set in an 800 acre estate which includes a deer park, Fountains Abbey and is the largest abbey ruins in the country. 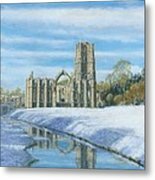 As a member of the National Trust, I have regularly visited the Abbey and in this painting have captured it on a beautiful winter morning a couple of days after a snowfall. 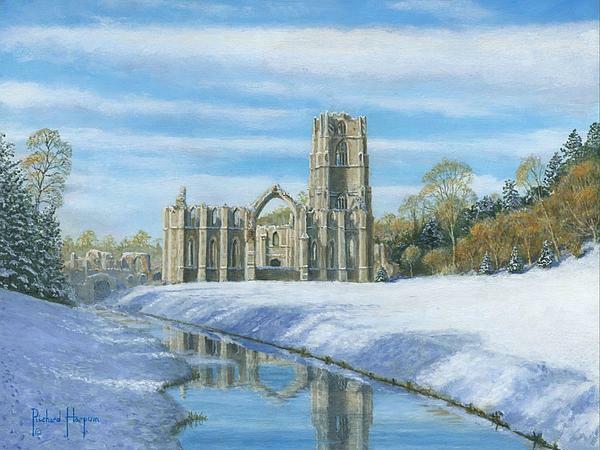 This painting is my Christmas card for 2011.